What makes a good first level? What sets my first level apart from every other level in my game? If your game follows a mostly linear structure, its first level will need to be designed around very different goals than the other levels. 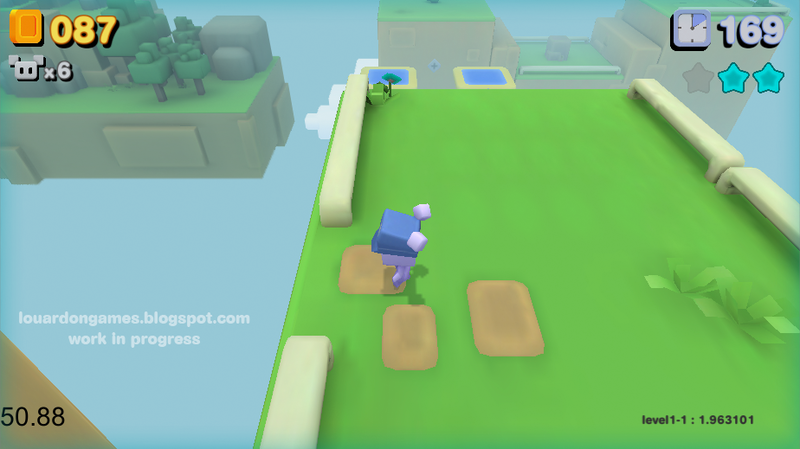 In this Lessons from Suzy Cube article, we will break down those goals as they apply to Suzy Cube and how the game's first level strives to achieve them. Before jumping into the particularities of Suzy Cube, I want to explore some of the common goals shared by the first levels in many games. A first level is the player's introduction to your game. It shapes the player's first impression and will frame the rest of the game experience. Often, your first level will serve as an introduction to your game's story and its gameplay mechanisms. You may use the opportunity to reinforce lessons learned in the game's tutorial or use the level itself as a platform for teaching basic skills. In addition to serving as an introduction, your first level also sets expectations and gives a taste of what's to come. Players may make up their minds about your game as early as the first level, so put your best foot forward. 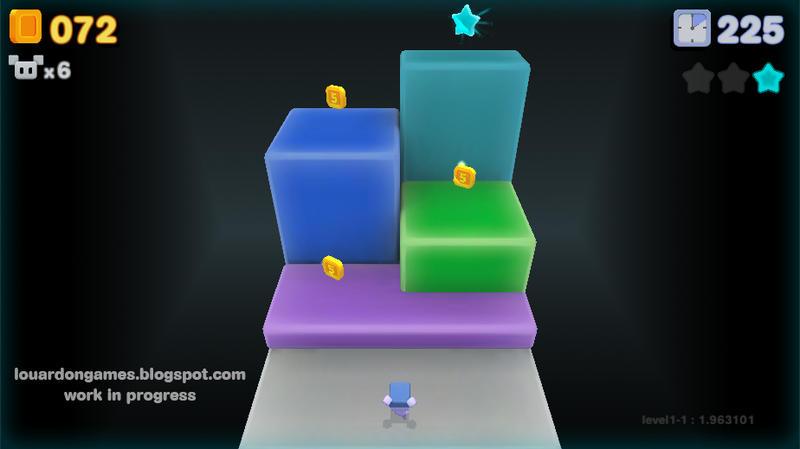 In order to better understand what sets Suzy Cube's first level apart from the game's other levels, it's important to understand the goals of a typical level. 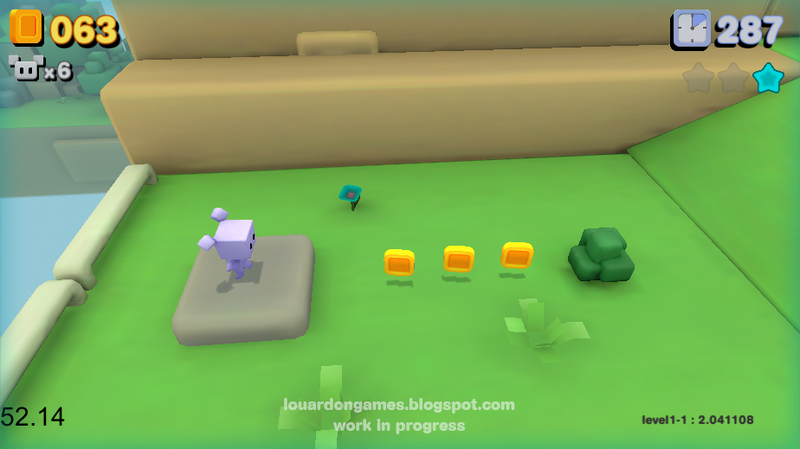 A typical Suzy Cube level is built on the idea of introducing a gameplay concept, building upon that concept, then challenging the player on their mastery of that concept. This structure is explored in closer detail in this level breakdown from a previous article. Though not all levels in the game adhere quite so closely to this structure, they are all built around a concept, a design pillar if you will, which makes the level unique. What makes the game's first level different is that it is not built around a singular concept or gameplay hook but, instead, around the idea of teaching players while drawing them in. Suzy Cube is not a story driven game. 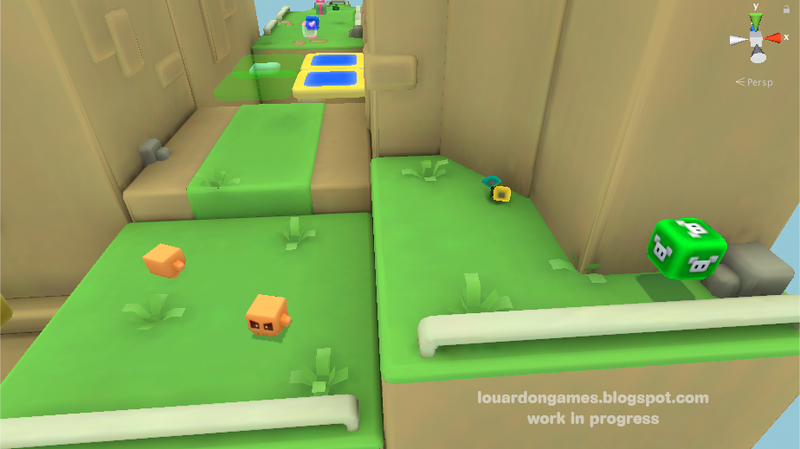 The flimsy premise is totally incidental, so the first level concentrates on being an introduction to what makes Suzy Cube fun, its gameplay. In broad terms, the overarching goal of Level 1-1 is to give players a feel for the fun they can look forward to throughout the game's five upcoming worlds. The game opens with Suzy, the player character, standing on a small stone riser. Notice how the slight angle of the camera, the guardrails to the left, the line of coins to the right and framing Suzy such that more of the path ahead of her is visible all work together to give players a sense that their adventure awaits, to the right. 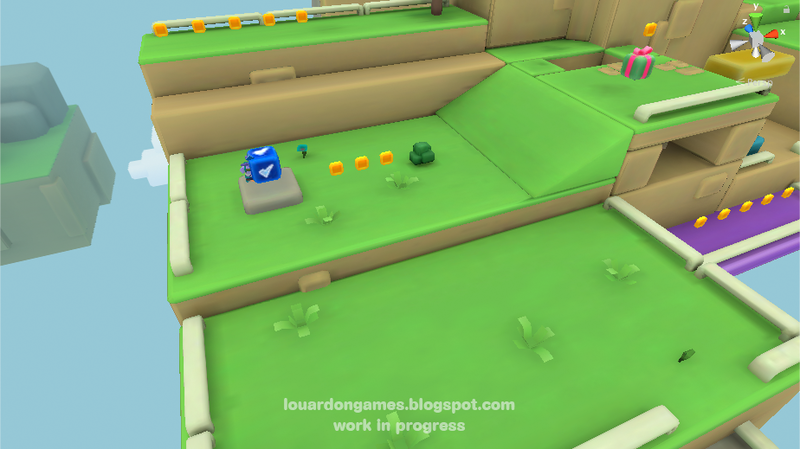 The goal of the level's opening area is to allow players to experiment and familiarize themselves with the controls and the feel of the character. Though players must move to the right in order to progress, they are given a lot of room to explore widthwise and are rewarded with coins. Players, thus, have an opportunity to learn how to control Suzy while learning the value of venturing off the main path. 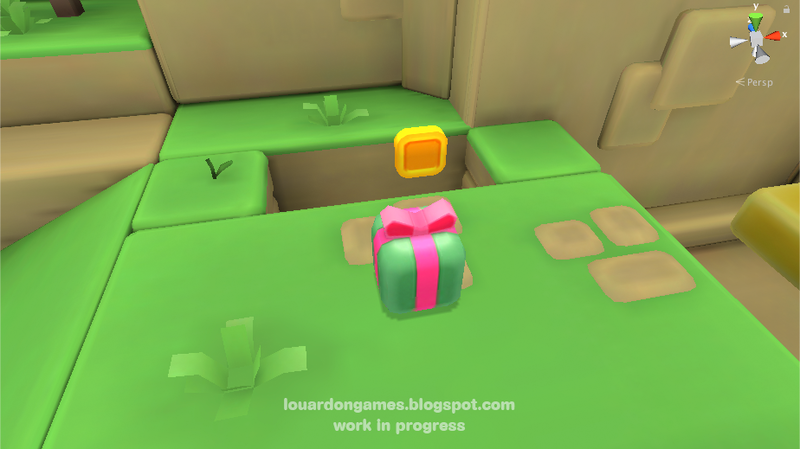 Progressing to the right, players will come across the game's first Gift Box. There are a fixture of Suzy Cube and can contain a variety of prizes. This one contains the game's most basic Power-Up, the Heart Hat. Gift Boxes are opened by jumping on, or "bopping", them. The coin, suspended above this gift box, helps to entice players to attempt this rather than simply avoiding the Gift Box altogether. Next up are the game's first two challenges. 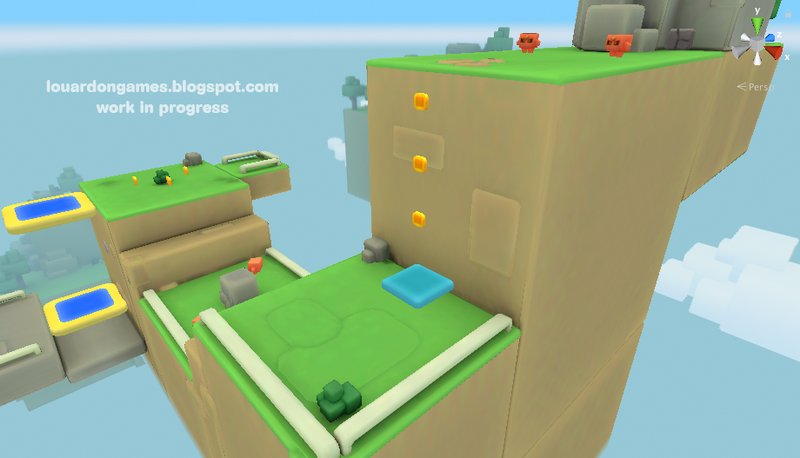 First is a floating platform meant to test players on their ability to jump. They will have to jump onto the platform then across in order to proceed. What awaits them on the other side are a pair of Skulls, the most basic enemies in Suzy Cube. Here, players can learn to avoid them, bop them or even learn that the Heart Hat can allow Suzy to be hit once without dying. 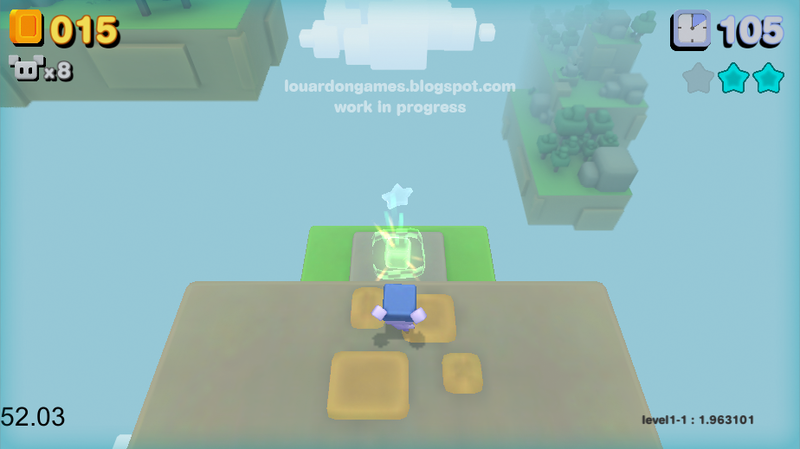 For players who decide to explore what lies at the bottom of the hole next to the Gift Box an optional path leads to a Star, an important pick-up for progressing to later levels. Notice how the blue stairs leading back up to the main path but do not lead to the other side of the floating platform pit. 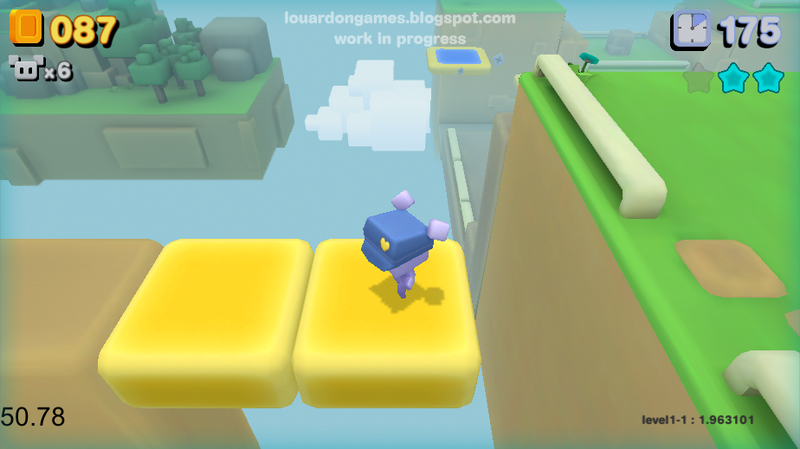 There's no way around the floating platform challenge ensuring players learn to jump. Exploration is further rewarded in the Skulls area. Though the grass path at the top of the image clearly denotes the way forward, a short jump up and to the right will reward players with an Extra Life! Beyond the encounter with the Skulls, players are then forced to move northwards to proceed. So far, they've only had to move sideways to do so. This reinforces that they are playing a 3D platformer and that their perspective on the action may vary throughout the game. This section also presents a new challenge: Moving platforms. Players will have to time their jumps to get across. Though falling may yield its own rewards. A bonus area! This timed challenge will earn players another Star if completed. This will, hopefully, teach them to expect the unexpected and look forward to what other surprises the game may have in store. So far, none of the level's jumping challenges have asked players to jump over bottomless pits. Remember, your players are still learning. 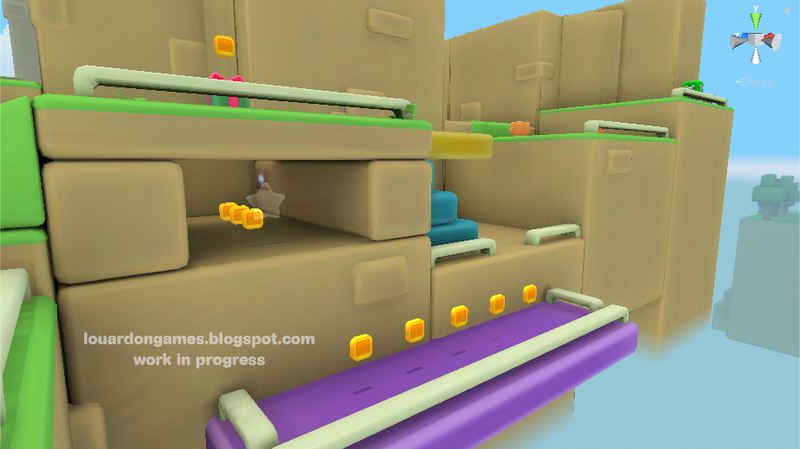 Your first level should be very easy, in fact all the World 1 levels in Suzy Cube skew to the easy side of the scale. Moving on, players may be tempted by this break in the guardrail to attempt this treacherous looking jump. 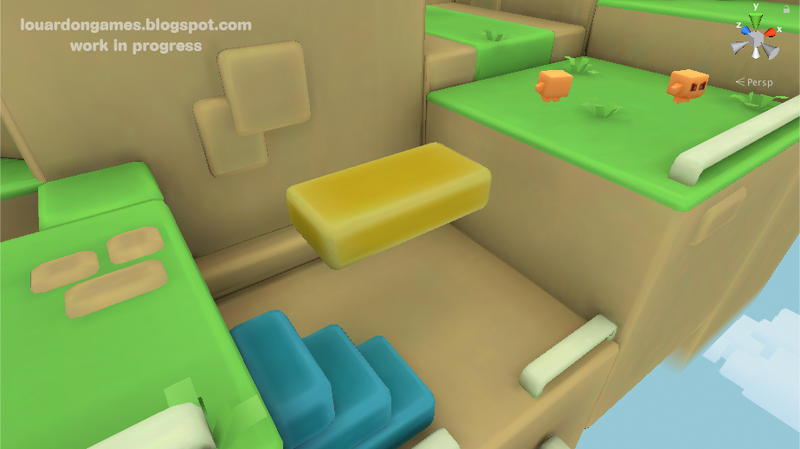 Brave players are caught by these yellow blocks which appear in the nick of time. Their reward? A secondary path leading to more coins and another Extra Life! Moving along, players have a chance to take a moment and enjoy the view. In fact, stepping onto the lookout gives a view of the level's goal. This isn't just to rip off Super Mario 3D Land, sprinkling in these unexpected touches helps to surprise players and surprises keep them engaged. As players make their way to the end of the level, they will be faced with a more aggressive variant of the Skulls as well as a plateau which can only be surmounted by use of the Jump Pad. Notice how the column of coins hints at the Jump Pad's function. Incidentally, the Jump Pad also foreshadows the second level's core concept. After a quick climb up a set of rocks, players will find themselves face to face with the level's last challenge as a Star hangs in the air. Players who fail to get the Star when jumping down will still be able to reach the goal, but a deft jump is justly rewarded. 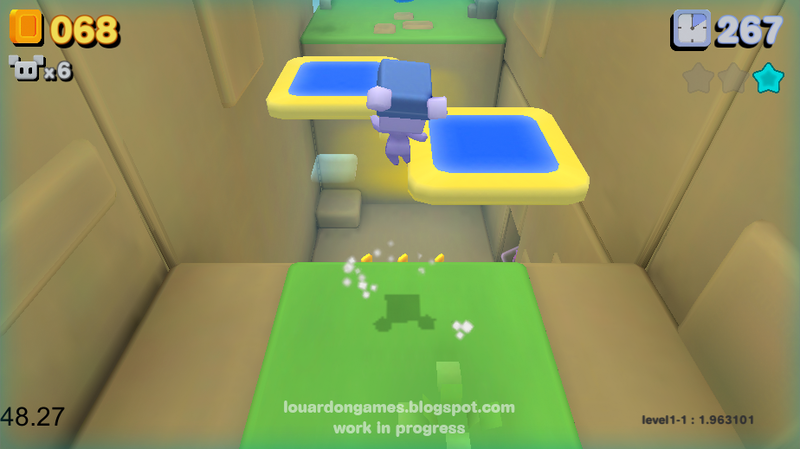 As you can see, Suzy Cube's first level is not based on a singular concept. Your game's first level is not the time for gimmicks. It should, instead be a preview of what's to come. 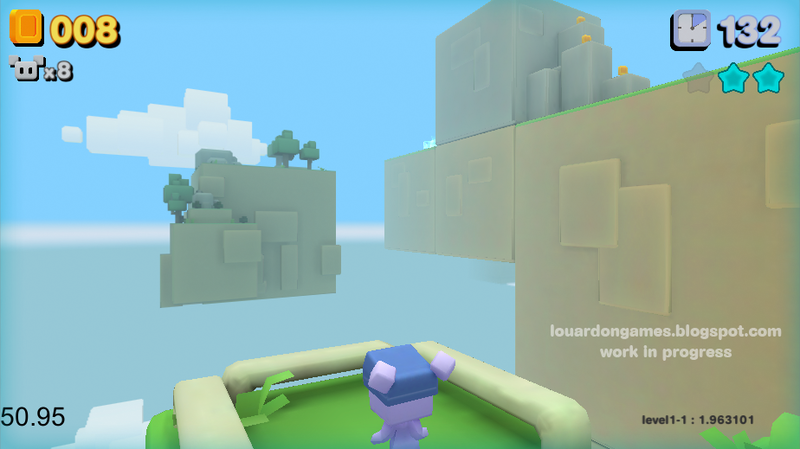 In a previous article on variety, I wrote about the value of making each of your game levels distinct rather than filling each of them with a smorgasbord of gameplay mechanisms. This is not the case with your first level. It should give players a sense of what they are in for, what they can look forward to. Give players a space to learn and get a feel for the controls and introduce basic gameplay concepts. Give players a taste of the variety the can expect from the rest of the game. Surprise your players! Surprises lead to player engagement and should cause players to wonder about what other surprises the game may have in store. Your first level should be easy. Your players are still learning, it's not the time for harsh punishment. Players who give up on your first level are lost forever. 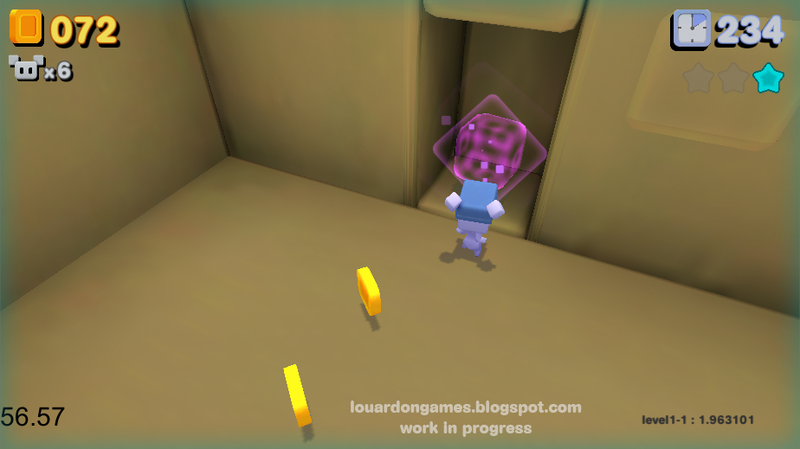 In Suzy Cube, Level 1-1 acts as a setup for the whole game. In a way, it's the game's most important level. It must engage new players and entice them to keep playing. This is true of any game's first level, so don't neglect it. As a side note, when I started work on designing levels, I chose to tackle this one first, but there's an argument to be made for leaving it to the very end of development. 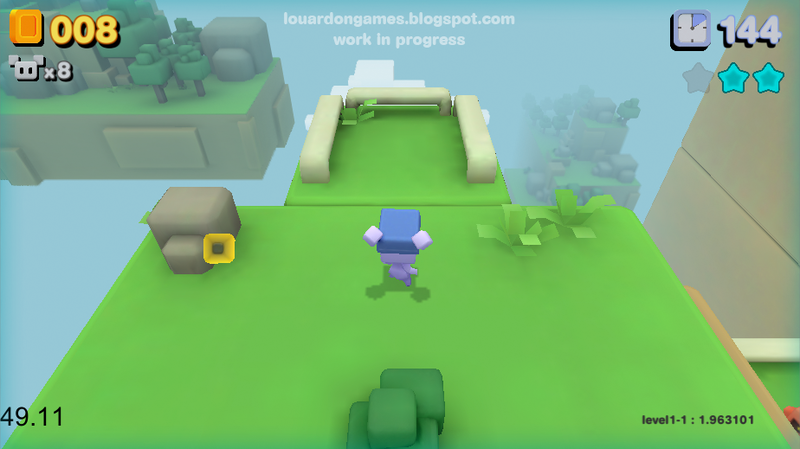 I wanted to make sure it received the most opportunities for iteration, but it can certainly be worthwhile to leave the design of your opening level to the end of the project when you've got all the experience from designing the rest of the game's levels to apply to this unique and uniquely important level.